The objectives of this study were to investigate the epidemiologic relationship, prevalence of the beta-lactamase and virulence genes of clinical ampicillin-resistant Salmonella enterica. In vitro ampicillin susceptibilities of 117 Salmonella enterica isolates obtained between 2011-2012 from Ege University Hospital, Bacteriology Laboratory of Medical Microbiology Department were examined using disc diffusion assays in accordance with the CLSI guidelines. The MIC levels in the ampicillin-resistant bacteria were determined using the broth microdilution method. The resistant strains were serotyped by the Public Health Institution. Epidemiologic relations of resistant strains were evaluated using ERIC-PCR. The presence of beta-lactamase genes and virulence factors were detected using PCR. The 117 S. enterica strains had ten isolates that were resistant to ampicillin, and the MIC range of ampicillin was found as 512-128 μg/mL. Ampicillin-resistant strains were susceptible to nalidixic acid, ciprofloxacin, cefotaxime, sulfamethoxazole/trimethoprim. Four different serotypes were identified and isolates were grouped into seven clusters. Five isolates carried blaTEM, and two carried the blaCTX-M gene. However, it was determined that blaSHV and blaPER genes did not exist in these strains. Virulence genes invA, pipD, and sopB were found in all isolates. sifA, pefA, and sopE genes were found in seven, four, and three isolates, respectively. Our data suggest that the rate of ampicillin resistance in S. enterica isolates was 8.5% in the two year period, but this ratio was generally lower than rates abroad. blaCTX-M and blaTEM genes could be responsible for ampicillin resistance. The blaSHV gene, which is highly prevalent in our country, was not found in any strains. sopB and pipD genes, which might be associated with beta-lactam resistance, were found in all strains. It is also noteworthy that the three isolates containing the sopE gene, which is associated with epidemic cases, were of the same serotypes and epidemiologic clusters. The objectives of this study were to investigate beta-lactam resistance, the epidemiologic relationship, serotype distribution, and the prevalence of beta-lactamase genes, namely blaTEM, blaPER, blaCTX-M, blaSHV, and the virulence genes of clinical ampicillin-resistant S. enterica. DNA isolation was performed for use in polymerase chain reaction (PCR) studies. For this purpose, isolates were suspended and homogenized in 200 µL of sterile ultrapure water. The isolates were then incubated in a heat block at 95°C for 10 min. Microtubes were centrifuged at 13,000 rpm for 5 min. The supernatants were transferred to sterile microtubes and stored at -20°C for use in PCR studies. The strains were serotyped by the Turkish Public Health Agency, National Microbiology Reference Laboratory. The epidemiologic relations of the isolates were analyzed using PCR with enterobacterial repetitive intergenic consensus (ERIC)-2 and ERIC-1R primers.9 To evaluate similarity between these isolates, Jaccard coefficients were derived from the banding patterns. Dendrograms were constructed according to the unweighted pair group with arithmetic mean method, using Jaccard coefficients and MEGA software, version 4.0.
blaCTX-M, blaTEM, blaSHV, blaPER genes were determined using primers targeting the relevant regions10-12 using the conventional multiplex PCR method. PCR assays were run in 25 µL amplification mixtures composed of 5 µL bacterial DNA template, 2.5 µL Taq buffer, 1.5 mM MgCl2, 200 µM dNTP, 30 pmol forward and reverse primers, and 1.25 U Taq polymerase. Six different virulence genes were analyzed in two different multiplex PCR reactions, using primers targeting the relevant genes.13,14 For this purpose, a 5-µL bacterial DNA template, 2.5 µL Taq buffer, 1.5 mM MgCl2, 200 µM dNTP, 20 pmol forward and reverse primers, 1.25 U Taq polymerase were prepared in 25 µL volume. As a result of the disc diffusion test, ten (8.5%) out of 117 S. enterica isolates were detected as resistant to ampicillin. These resistant strains were susceptible to ciprofloxacin, cefotaxime, sulfamethoxazole/trimethoprim. The ampicillin MIC range of the isolates was found as 512-128 µg/mL. The strains were divided into seven different clusters based on ERIC-PCR results. The detected serotypes were as follows; S. Enteritidis (n=5), S. Infantis (n=2), S. Typhimurium (n=1), and S. Corvallis (n=1). One isolate could not be serotyped. Five strains involved blaTEM genes, two strains contained blaCTX-M genes. blaPER and blaSHV genes were not encountered. InvA, pipD, sopB, which are virulence genes, were detected in all strains, sifA in seven, pefA in four, and sopE in three strains. The Salmonella genus comprises many members. Some Salmonella serotypes are known to be more commonly isolated. In light of this information and existing data; the most frequently isolated Salmonella serotype is known to be S. Enteritidis.15 In our study, five of the ampicillin resistant Salmonella strains were determined as S. Enteritidis. In 2014, Maraki and Papadakis4 determined S. Enteritidis as the most commonly isolated serotype of Salmonella (37.3%). In another study by Ozdemir and Acar,16 S. Enteritidis was determined as the most commonly isolated serotype from Salmonella isolates collected from 4 different provinces of Turkey. 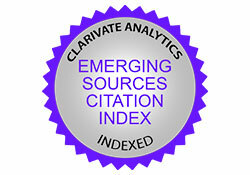 Our results show consistency with the literature. Serotyping is the basic phenotypic method for epidemiologic investigation of isolates. Nonetheless, it cannot differentiate strains of the same serotype. Genotypic methods such as pulsed-field gel electrophoresis (PFGE), ERIC-PCR, and repetitive element palindromic PCR can distinguish the strains more effectively. Although PFGE is the gold standard method for fingerprinting, due to the lack of equipment and to avoid protocols lasting four-five days, a simpler method of ERIC-PCR was preferred.17,18 In our study, strains were divided into 7 unrelated clusters using ERIC-PCR with an acceptable (≥0.90) discriminatory index value of 0.92. When the literature and data obtained in this study are evaluated, ERIC-PCR is considered to be a useful and easily applicable method for genotyping of strains. Recently, Salmonella strains have shown resistance against many antibiotic groups. Ampicillin, which is a member of the beta-lactam antibiotics, is the first-line agent used in the treatment of Salmonella infections. Salmonella strains that are resistant to ampicillin and other beta-lactams pose a risk for public health.5 According to our disc diffusion results, ampicillin-resistant strains are susceptible to other groups of antibiotics such as ciprofloxacin, cefotaxime, and sulfamethoxazole/trimethoprim. According to data gained abroad, the rate of ampicillin resistance against Salmonella varies from one country to another. As for studies abroad; in India, ampicillin resistance in S. enterica isolates was detected as 25% in 2011.19 It was 33% in Salmonella isolated from children in Cambodia,20 46% in Korea,21 55% in Spain,22 and 8% in the United States.23 In Turkey, there have been a few studies of clinical Salmonella strains that were isolated from children’s hospital. The rate of ampicillin resistance in Salmonella strains were determined as 25.8% in 2012,24 and 19% in 2014.25 However, resistance rates were higher than in our study. According to the our knowledge, the stress of starting antibiotic treatment empirically in pediatric patients, before culture results, might be responsible for higher ampicillin resistance rates than in our study. In our study, five isolates with blaTEM genes and two isolates with blaCTX-M genes were found. blaCTX-M-positive isolates were in the S. Ifantum serotype. Four of five blaTEM gene positive isolates were in S. Enteritidis serotype, and the remaining strain was in S. Typhimurium. Although the most common beta-lactamase genes of Salmonella isolates are variants of blaCTX-M and blaSHV,26 no blaSHV gene was found in isolates used in our study. Different rates of beta-lactam resistance genes were reported in studies conducted abroad. Among 20 ampicillin-resistant Salmonella isolates, beta-lactamase genes were found to be blaSHV 100%, blaTEM 85%, blaCTX-M 5% in one study;2 and in 90 beta-lactam–resistant strains in Spain it was blaTEM 22%, and blaCTX-M 1%.22 In the Netherlands, a study with 34 Salmonella strains isolated from humans and the environment, Hasman et al.6 detected the blaTEM gene in 19 (55%) strains, the blaCTX-M gene in six (17%), and the blaSHV gene in three (8%) strains; all 34 isolates were found to be resistant to penicillin. A study conducted on S. Typhimurium in 2011 in Turkey detected 23% blaCTX-M gene, 76% blaTEM gene, and 100% blaSHV. The blaPER gene could not be detected in any isolates27. Generally, the sopE gene, which has been shown to have the lowest prevalence, has been associated with epidemic cases.26,29 In our study, the presence of three strains that involve this gene in the same group according to ERIC-PCR and their isolation in a short period of time indicated that they may have been isolated after a community- onset epidemic. Hughes et al.14 detected pipD and sopB genes in all strains and these virulence factors have been associated with enteritis. The detection of these genes in all resistant isolates indicated a possible relationship between these virulence factors and resistance. A study conducted by Dione et al.26 and our data gave similar results. Also, Khoo et al.30 detected alterations in beta-lactam resistance as a result a mutations created in these two genes. Although our study did not directly show the relationship between resistance and virulence factors, it showed the necessity for further extensive studies about the relationship between these two factors. The pefA gene, which was detected in four strains at the present study, may be located on the same or different plasmid with different virulence (spv) genes. Only a fraction of Salmonella serotypes carries different-sized plasmids, which are known as serovar specific. However, it is known that not every plasmid-carrying serotype includes the pefA gene. Therefore, it is thought that the pefA gene has a lower prevalence compared with other virulence factors.31 Hughes et al.14 showed that only three isolates out of 32 involved the pefA gene. Skyberg et al.13 performed a study on Salmonella of different serotypes, the pefA gene was found in 11 of 152 strains, and it was only present in serotypes of S. Typhimurium and S. Enteritidis. The low prevalence of the pefA gene in our study is compatible with the results of the other studies. Additionally, three out of four pefA gene-carrying strains belonged to the S. Enteritidis serotype, and this result is also consistent with the literature data. The sifA gene, which enables the sustained vitality of Salmonella bacteria in macrophages, was detected in seven strains in our study. Hur et al.32 detected the sifA gene in all of 42 strains. Skyberg et al.13 determined the sifA gene in 137 out 158 isolates. The existence rate of the sifA gene in this study was similar to that of studies conducted abroad. As a result, in light of studies both in our country and abroad, it is known that there are Salmonella strains that are resistant to antimicrobial agents, some of which are beta lactamase-producing. Further investigation on the resistance and virulence profiles of Salmonella strains will enable us to better understand the pathogenesis of infections and to be able to take better measurements and give proper treatments. We are grateful to the UEPLA team for the serotyping of the strains as a surveillance program of the Public Health Institution of Turkey. Vatopoulos AC, Mainas E, Balis E, Threlfall EJ, Kanelopoulou M, Kalapothaki V, Malamou-Lada H, Legakis NJ. Molecular Epidemiology of Ampicillin-Resistant Clinical Isolates of Salmonella Enteritidis. J Clin Microbiol. 1994;32:1322-1325. Archambault M, Petrov P, Hendriksen RS, Asseva G, Bangtrakulnonth A, Hasman H, Aarestrup FM. Molecular Characterization and Occurrence of Extended- Spectrum b-Lactamase Resistance Genes among Salmonella enterica Serovar Corvallis from Thailand, Bulgaria and Denmark. Microb Drug Resist. 2006;12:192-198. Sırıken B. Salmonella Patojenite Adaları. Mikrobiyol Bul. 2013;47:181-188. Maraki S, Papadakis IS. Serotypes and Antimicrobial Resistance of Human Nontyphoidal Isolates of Salmonella enterica from Crete, Greece. Interdiscip Perspect Infect Dis. 2014;2014:256181. Smith KP, George J, Cadle KM, Kumar S, Aragon SJ, Hernandez RL, Jones SE, Floyd JL, Varela MF. Elucidation of Antimicrobial Susceptibility Profiles and Genotyping of Salmonella enterica Isolates from Clinical Cases of Salmonellosis in New Mexico in 2008. World J Microbiol Biotechnol. 2010;26:1025-1031. Hasman H, Mevius D, Veldman K, Olesen I, Aarestrup FM. Beta-Lactamases among extended-spectrum beta-lactamase (ESBL)-resistant Salmonella from poultry, poultry products and human patients in The Netherlands. J Antimicrob Chemother. 2005;56:115-121. CLSI. Clinical and Laboratory Institute (2013) Performance Standarts for Antimicrobial Susceptibility Testing; Twenty-Third Informational Supplement CLSI document M100-S23. Clinical and Laboratory Standarts Institute, Wayne. 2013:44. CLSI. Clinical and Laboratory Institute (2013) Performance Standarts for Antimicrobial Susceptibility Testing; Twenty-Third Informational Supplement CLSI document M100-S23. Clinical and Laboratory Standarts Institute, Wayne. 2013:142. Versalovic J, Koeuth T, Lupski JR. Distribution of repetitive DNA sequences in eubacteria and application to fingerprinting of bacterial genomes. Nucleic Acids Res. 1991;19:6823-6831. Mugnaioli C, Luzzaro F, De Luca F, Brigante G, Perilli M, Amicosante G, Stefani S, Toniolo A, Rossolini GM. CTX-M-type extended-spectrumb-lactamases in Italy: Molecular epidemiology of an emerging countrywide problem. Antimicrob Agents Chemother. 2006;50:2700-2706. Claeys G, Verschraegen G, de Baere T, Veneechoutte M. PER-1 b-lactamase-producing Pseudomonas aeruginosa in an intensive care unit. J Antimicrob Chemother. 2000;1:924-925. Taşli H, Bahar IH. Molecular Characterization of TEM- and SHV-Derived Extended-Spectrum Beta-Lactamases in Hospital-Based Enterobacteriaceae in Turkey. Jpn J Infect Dis. 2005;58:162-167. Skyberg JA, Logue CM, Nolan LK. Virulence genotyping of Salmonella spp. with multiplex PCR. Avian Dis. 2006;50:77-81. Hughes LA, Shopland S, Wigley P, Bradon H, Leatherbarrow AH, Williams NJ, Bennet M, de Pinna E, Lawson B, Cunningham AA, Chantrey J. Characterisation of Salmonella enterica serotype Typhimurium isolates from wild birds in northern England from 2005-2006. BMC Vet Res. 2008;4:4. Osawa K, Shigemura K, Shimizu R, Kato A, Kimura M, Katayama Y, Okuya Y, Yutaka S, Nishimoto A, Kishi A, Fujiwara M, Yoshida H, Iijima Y, Fujisawa M, Shirakawa T. Antimicrobial resistance in Salmonella strains clinically isolated in Hyogo, Japan (2009-2012). Jpn J Infect Dis. 2014;67:54-57. Ozdemir K, Acar S. Plasmid profile and pulsed-field gel electrophoresis analysis of Salmonella enterica isolates from humans in Turkey. PloS One. 2014;9:e95976. Bhowmick PP, Srikumar S, Devegowda D, Shekar M, Darshanee Ruwandeepika HA, Karunasagar I. Serotyping & molecular characterization for study genetic diversity among seafood associated nontyphoidal Salmonella serovars. Indian J Med Res. 2012;135:371-381. Peters MT. Pulsed-Field gel electrophoresis for molecular epidemiology of food pathogens. Methods Mol Biol. 2009;551:59-70. Parvathi A, Vijayan J, Murali G, Chandran P. Comparative virulence genotyping and antimicrobial susceptibility profiling of environmental and clinical Salmonella enterica from Cochin, India. Curr Microbiol. 2011;62:21-26. Meng CY, Smith BL, Bodhidatta L, Richard SA, Vansith K, Thy B, Srijan A, Serichantalergs O, Mason CJ. Etiology of diarrhea in young children and patterns of antibiotic resistance in Cambodia. Pediatr Infect Dis J. 2011;30:331-335. Lee JY, Kim JA, Jeong HS, Shin JH, Chang CL, Jeong J, Cho JH, Kim MN, Kim S, Kim YR, Lee CH, Lee K, Lee MA, Lee WG, Shin JH, Lee JN. Serotyping and antimicrobial susceptibility of Salmonella spp. : nationwide multicenter study in Korea. Jpn J Infect Dis. 2013;66:284-289.
de Toro M, Sáenz Y, Cercenado E, Rojo-bezares B, García-campello M, Undabeitia E, Torres C. Genetic characterization of the mechanisms of resistance to amoxicillin / clavulanate and third-generation cephalosporins in Salmonella enterica from three Spanish hospitals. Int Microbol. 2011;14:173-181. Crump JA, Medalla FM, Joyce KW, Krueger AL, Hoekstra RM, Whichard JM, Barzilay EJ; Emerging Infections Program NARMS Working Group. Antimicrobial resistance among invasive nontyphoidal Salmonella enterica isolates in the United States: National Antimicrobial Resistance Monitoring System, 1996 to 2007. Antimicrob Agents Chemother. 2011;55:1148-1154. 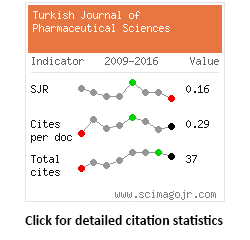 Ince OT, Yalçin SS, Yurdakök K, Ozmert EN, Aydin A, Bariş Z, Gür D. Salmonella gastroenteritis in children (clinical characteristics and antibiotic susceptibility): comparison of the years 1995-2001 and 2002-2008. Turk J Pediatr. 2012;54:465-473. Bayhan GI, Tanir G, Levent B, Özkan Ş, Güleşen R, Timur ÖM. Serotype distribution, antibiotic resistance and clinical features of Salmonella infections. Turkiye Klinikleri J Med Sci. 2014;34:137-144. Dione MM, Ikumapayi U, Saha D, Mohammed NI, Adegbola RA, Geerts S, Ieven M, Antonio M. Antimicrobial resistance and virulence genes of non-typhoidal Salmonella isolates in The Gambia and Senegal. J Infec Dev Ctries. 2011;5:765-775. Ağin H, Ayhan FY, Gülay Z, Gülfidan G, Yaşar N, Eraç B, Devrim I. The evaluation of clusters of hospital infections due to multidrug-resistant Salmonella enterica serovar Typhimurium in the neonatal unit: a two-year experience. Turk J Pediatr. 2011;53:517-521. Shanmugasamy M, Velayutham T, Rajeswar J. Inv A gene specific PCR for detection of Salmonella from broilers. Vet World. 2011;4:562-564. Mirold S, Rabsch W, Rohde M, Stender S, Tschäpe H, Rüssmann H, Igwe E, Hardt WD. Isolation of a temperate bacteriophage encoding the type III effector protein SopE from an epidemic Salmonella Typhimurium strain. Proc Natl Acad Sci U S A. 1999;96:9845-9850. Khoo CH, Sim JH, Salleh NA, Cheah YK. Pathogenicity and phenotypic analysis of sopB, sopD and pipD virulence factors in Salmonella enterica serovar Typhimurium and Salmonella enterica serovar Agona. Antonie Van Leeuwenhoek. 2015;107:23-37. Rotger R, Casadesús J. The virulence plasmids of Salmonella. Int Microbiol. 1999;2:177-184. Hur J, Choi YY, Park JH, Jeon BW, Lee HS, Kim AR, Lee JH. Antimicrobial resistance, virulence-associated genes, and pulsed-field gel electrophoresis profiles of Salmonella enterica subsp enterica serovar Typhimurium isolated from piglets with diarrhea in Korea. Can J Vet Res. 2011;75:49-56.